This Is Your Captain Speaking: If Our Satellites Saw Metrojet Explode, Why Didn't They See Malaysia Flight 17? If Our Satellites Saw Metrojet Explode, Why Didn't They See Malaysia Flight 17? While I normally steer clear of geopolitics, I came across a blog post by Ron Unz asking this question. Unz, if you remember, is an entrepreneur who once ran for governor of California. But the real issue has been ignored by our worthless MSM. Within just a couple of days of the airliner’s destruction, America had already released satellite data showing a mid-air explosion, therefore strongly implying a bomb. However, after more than a year, the US has still failed to release any similar satellite data regarding the destruction of MH-17 in Ukraine, which occurred in a war-zone subject to far greater American surveillance. Malaysia Flight 17 was the 777 which was shot down by a missile while flying over Ukraine. So do I have any idea about or opinion on the downing of MH17? Not in the slightest other than it was probably an unintentional launch by someone who thought they were shooting at a combatant aircraft. I'm not sure I buy the "false flag" theory of an intentional shootdown. That would be truly evil. But it's true that whoever did it, accidentally or not, certainly wanted to pin it on the other side. Here's where the satellites come in. The US DoD has long been interested in space based intelligence and missile early warning. 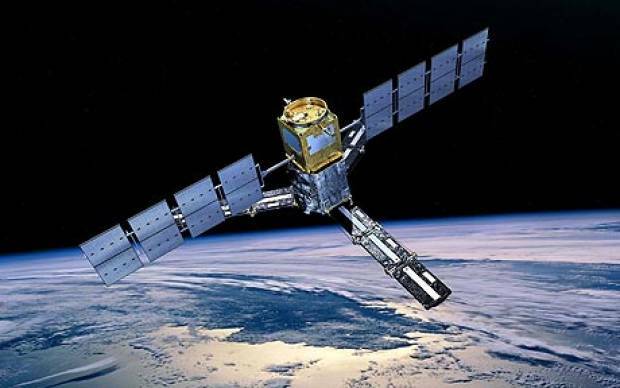 Dating back decades to the Cold War, satellites have been employed to try to detect missile launches. Given that the flight time for an ICBM is about a half hour or less, having a means to detect launches from space was an important priority. Fast forwarding to the first Gulf War, the threat of Iraqi Scud missiles made clear the need for expanded theater missile detection in addition to strategic missile warning. The resulting system called the Space Based Infrared System (SBIRS) gives American intelligence agencies real time data on missile launches. The plume from any missile launch can be detected by infrared sensors and one would presume that the system is deployed over not only the entire middle east but also our old Cold War nemesis, Russia. Of course the "sources and methods" of our intelligence capabilities are, or should be, highly classified for obvious reasons. If an enemy knows what we can see, they will take pains to avoid detection or to spoof those capabilities. For whatever reason, however, adherence to that principle seems to be in short supply these days. So by very quickly confirming that an explosion had been detected over the Sinai Peninsula, the inevitable questions about other events will surface as they have here. Presumably, if current systems can see a smallish explosion on a jetliner then they would not only have seen the destruction of the much larger Malaysian 777, but also the location of the missile launch that took it down. There are also good reasons why our systems might not have been able to detect the MH17 shootdown as well. Perhaps there were gaps in coverage due to satellite geometry or there might have been interfering weather conditions. Either way, shouldn't the limits of this technology be kept secret? All of this might make for a good Le Carré novel, but the spies in his novels including the governments they worked for were at least competent.